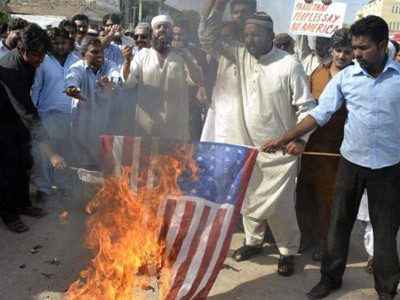 The US and Pakistan have reached a new record-low point in relations, after both parties accused each other of supporting terrorism. They are at odds over the Taliban-linked Haqqani network, which was allegedly behind the recent attack on US and NATO bases in central Kabul. 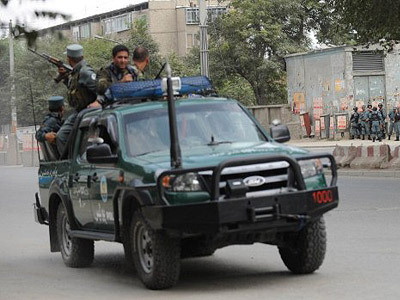 The attack in Kabul on September 13 left four policemen and three civilians dead, and dozens of people wounded. The 20-hour stand-off with the six gunmen armed with rocket-propelled grenade launchers and small arms was the boldest attack in years, for which the Taliban claimed responsibility. 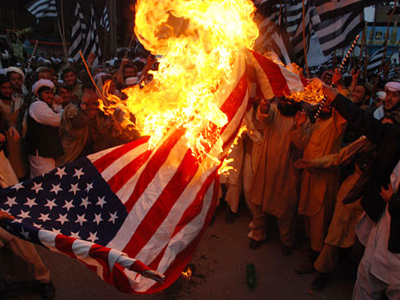 US Ambassador Ryan Crocker said the organizer of the assault was “the Haqqani network”. Jalaluddin Haqqani is a veteran of the Afghani insurgent movement, which fought against the Soviet troops with support from Pakistan and the CIA back in the 1980s. He held a ministerial position in the Taliban government. Following the attack, several US officials accused Pakistan of failing to deal with the Haqqani network, or even directly supporting it. "Time and again we've urged the Pakistanis to exercise their influence over these kinds of attacks from the Haqqanis. And we have made very little progress in that area," US Defense Secretary Leon Panetta said. "The Haqqani network…acts as a veritable arm of Pakistan's Inter-Services Intelligence Agency," Chairman of the Joint Chiefs of Staff Michael Mullen told a Senate panel, adding that the ISI has a hand in other Taliban attacks on American and Afghani troops. Pakistani officials deny the allegations and reacted harshly to them. A spokesman for the ISI General Athar Abbas said on Sunday that whatever contacts the agency has with Haqqani are limited to what is needed to stay in touch with a major player in regional politics. "Any intelligence agency would like to maintain contact with whatever opposition group, whatever terrorist organization…for some positive outcome," he said adding that there is huge difference between having such a contact and supporting the network. On Monday, Pakistan’s Foreign Minister Hina Rabbani Khar was urgently recalled from the UN General Assembly session in New York in protest over the US charges. Speaking to journalists, the minister said that US cannot provide any proof of Pakistan’s supporting the Haqqani network She added that US itself established Haqqani network and leveling allegations on Pakistan for ties with Haqqani network. She also warned that by continuously mounting pressure on Islamabad, the US is risking losing its strategic ally. Meanwhile the Pakistani air forces have been put on alert among the mounting tension, reports the Hindustan Times newspaper. The troops are prepared to prevent possible attack by US drones on Pakistani territory. US-led NATO forces in Afghanistan regularly attack suspected Taliban fighters in the tribal area of Pakistan, which is one of the major points of dispute in the ongoing diplomatic crisis due to civilian casualties they cause and Pakistan’s lack of contribution on such operations. The latest exchange of rhetoric marks a new step in deterioration of ties between the long-time allies, which started with the killing of Osama Bin Laden by the US commandos on Pakistani soil in May. 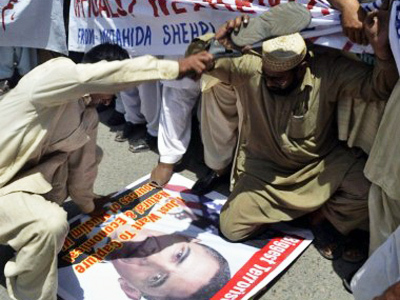 The relations between Washington and Islamabad have been souring, as the US accused Pakistan of having close links with Taliban, blame it for harboring Osama Bin Laden and doubt Pakistan’s ability to protect its nuclear arsenals from terrorists. Pakistan believes that the US is crossing the line in doing what they want in Pakistani territory and not taking its interests into account.